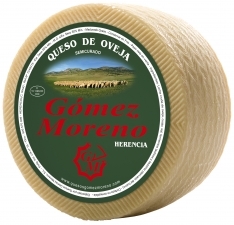 This wedge of cured cheese from the DO Manchego, brought to you by Carpuela Gomez Moreno, is cured for at least 6 months and is made with 100% raw Manchego sheep's milk. 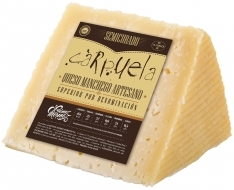 It's a natural product with an intense flavor, an excellent bouquet and a luscious aftertaste. 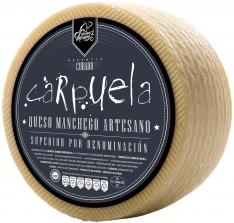 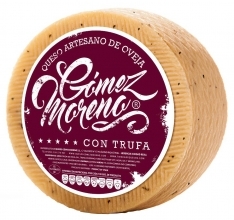 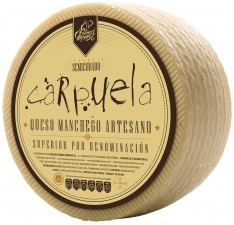 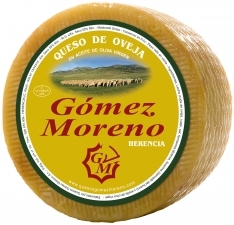 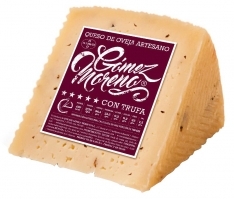 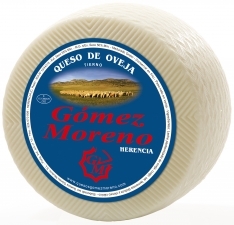 In Spanish, this product is called "Cuña de queso curado DO Manchego mediano Carpuela".